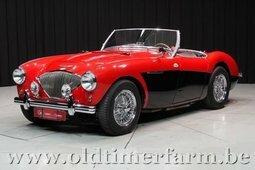 Very nice Austin-Healey 100-6 in good condition. Equipped with side windows, spoke wheels, KM counter, trip master, rare hardtop and highly sought after drive. The red leather interior combines very well with the exterior. 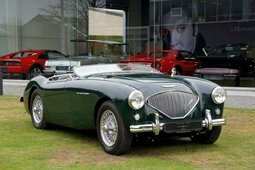 This Healey 100-6 participated in several rallies such as Coppa d'Europa 2007 and the Tulpenrallye 2007, 2010 and 2011. 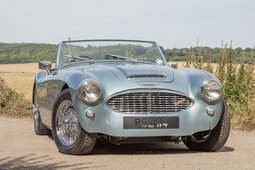 Equipped with FEHAC card, new front window, heritage certificate and the original title from the USA!